Systemic lupus erythematosus (SLE) is a chronic multisystem disorder. Lupus nephritis (LN) is a common serious complication of SLE. LN needs prolonged care and complex therapeutic modalities. This study assessed the characteristics of Persian SLE patients with LN (LN subgroup) and an SLE subpopulation without LN (non-LN subgroup). Furthermore, the association of LN with extrarenal manifestations of SLE was studied. This study assessed 2355 SLE patients from the electronic database of the Rheumatology Research Center (RRC), Tehran University of Medical Sciences (TUMS). The clinical and laboratory data of enrolled patients was retrieved. The chi-square test was used to compare extrarenal manifestations of the LN and non-LN subgroups. Odds ratios (OR) were used to present the strength of associations. The LN subgroup included 1604 cases (68.1%) with a mean age at SLE onset of 24.6±12.5 years and a female-to-male ratio of 8.7/1. Class IV nephritis was the most common type of LN (53.1%). The comparison of extrarenal manifestations revealed statistically significant differences between LN and non-LN subgroups. Major organ involvement including cardiopulmonary, hematologic, musculoskeletal and neuropsychiatric features was significantly more common in LN patients. On the contrary, discoid rash was significantly more common in the non-LN subgroup. This study revealed that LN is positively associated with musculoskeletal, mucocutaneous, and neuropsychiatric features of SLE. 1. Cervera R, Khamashta MA, Font J, Sebastiani GD, Gil A, Lavilla P, et al. Systemic lupus erythematosus: clinical and immunologic patterns of disease expression in a cohort of 1,000 patients. The European Working Party on Systemic Lupus Erythematosus. Medicine 1993; 72(2): 113-24. doi: 10.1097/ 00005792-199303000-00005. 2. Lee H, Bae S. Recent advances in systemic lupus erythematosus genetics in an Asian population. Inter J of Rheum Diseases 2014; 18(2): 192-199. doi: 10.1111/ 1756-185x.12498. 3. Mok CC, Lau CS. Pathogenesis of systemic lupus erythematosus. J of Clinical Pathology 2003; 56(7): 481-90. doi: 10.1136/jcp.56.7.481. 4. Danchenko N, Satia JA, Anthony MS. Epidemiology of systemic lupus erythematosus: a comparison of worldwide disease burden. Lupus 2006; 15(5): 308-18. doi: 10.1191/0961203306lu2305xx. 5. Davatchi F, Jamshidi AR, Banihashemi AT, Gholami J, Forouzanfar MH, Akhlaghi M, et al. WHO-ILAR COPCORD Study (Stage 1, Urban Study) in Iran. J of Rheum 2008; 35(7): 1384. 6. Seligman VA, Lum RF, Olson JL, Li H, Criswell LA. Demographic differences in the development of lupus nephritis: a retrospective analysis. The American J of Med 2002; 112(9): 726-9. doi: 10.1016/ s0002-9343(02)01118-x. 7. Cameron JS. Lupus nephritis. J of the American Society of Nephrology 1999; 10(2): 413-24. 8. Galindo-Izquierdo M, Rodriguez-Almaraz E, Pego-Reigosa JM, Lopez-Longo FJ, Calvo-Alen J, Olive A, et al. Characterization of Patients With Lupus Nephritis Included in a Large Cohort From the Spanish Society of Rheumatology Registry of Patients With Systemic Lupus Erythematosus (RELESSER). Medicine 2016; 95(9):e2891. 9. Maroz N, Segal MS. Lupus nephritis and end-stage kidney disease. The American J of the Med Sciences 2013; 346(4): 319-23. doi: 10.1097/maj.0b013e31827 f4ee3. 10. Burling F, Ng J, Thein H, Ly J, Marshall MR, Gow P. Ethnic, clinical and immunological factors in systemic lupus erythematosus and the development of lupus nephritis: results from a multi-ethnic New Zealand cohort. Lupus 2007;16(10):830-7. doi: 10.1177/ 0961203307080225. 11. Ortega LM, Schultz DR, Lenz O, Pardo V, Contreras GN. Review: Lupus nephritis: pathologic features, epidemiology and a guide to therapeutic decisions. Lupus 2010;19(5):557-74. doi: 10.1177/ 0961203309358187. 12. Perkowska-Ptasinska A, Deborska-Materkowska D, Bartczak A, Stompor T, Liberek T, Bullo-Piontecka B, et al. Kidney disease in the elderly: biopsy based data from 14 renal centers in Poland. BMC nephrology 2016;17(1):194. doi: 10.1186/s12882-016-0410-8. 13. Okpechi IG, Swanepoel CR, Tiffin N, Duffield M, Rayner BL. Clinicopathological insights into lupus nephritis in South Africans: a study of 251 patients. Lupus 2012;21(9):1017-24. doi: 10.1177/0961203312441981. 14. Bastian HM, Roseman JM, McGwin G, Jr., Alarcon GS, Friedman AW, Fessler BJ, et al. Systemic lupus erythematosus in three ethnic groups. XII. Risk factors for lupus nephritis after diagnosis. Lupus 2002;11(3):152-60. doi: 10.1191/0961203302 lu158oa. 15. Churg J, Sobin L. Renal disease: classification and atlas of glomerular diseases Igaku-Shoin. Tokyo, New York, 1982. 16. Tikly M, Navarra SV. Lupus in the developing world--is it any different? Best Pract Res Clin Rheumatol 2008; 22(4): 643-55. doi: 10.1016/j.berh.2008.05.003. 17. Nazarinia MA, Ghaffarpasand F, Shamsdin A, Karimi AA, Abbasi N, Amiri A. Systemic lupus erythematosus in the Fars Province of Iran. Lupus 2008; 17(3): 221-7. doi: 10.1177/0961203307086509. 18. Al Arfaj AS, Khalil N, Al Saleh S. Lupus nephritis among 624 cases of systemic lupus erythematosus in Riyadh, Saudi Arabia. Rheumatol Int 2009; 29(9): 1057-67. doi: 10.1007/s00296-009-0905-8. 19. Uthman IW, Muffarij AA, Mudawar WA, Nasr FW, Masri AF. Lupus nephritis in Lebanon. Lupus 2001; 10(5): 378-81. doi: 10.1191/096120301670808045. 20. Huong DL, Papo T, Beaufils H, Wechsler B, Bletry O, Baumelou A, et al. Renal involvement in systemic lupus erythematosus. A study of 180 patients from a single center. Medicine 1999; 78(3): 148-66. doi: 10.1097/00005792-199905000-00002. 21. Cortes-Hernandez J, Ordi-Ros J, Labrador M, Bujan S, Balada E, Segarra A, et al. Antihistone and anti-double-stranded deoxyribonucleic acid antibodies are associated with renal disease in systemic lupus erythematosus. The American J of Med 2004; 116(3): 165-73. doi: 10.1016/j.amjmed. 2003.08.034. 22. Cervera R, Khamashta MA, Font J, Sebastiani GD, Gil A, Lavilla P, et al. Morbidity and mortality in systemic lupus erythematosus during a 10-year period: a comparison of early and late manifestations in a cohort of 1,000 patients. Medicine 2003; 82(5): 299-308. doi: 10.1097/01.md. 0000091181.93122.55. 23. Cervera R, Khamashta MA, Hughes GR. The Euro-lupus project: epidemiology of systemic lupus erythematosus in Europe. Lupus 2009; 18(10): 869-74. doi: 10.1177/0961203309106831. 24. Malaviya AN, Chandrasekaran AN, Kumar A, Shamar PN. Systemic lupus erythematosus in India. Lupus 1997; 6(9): 690-700. doi: 10.1177/096120339700600903. 25. Al Attia HM. Lupus Nephritis among Arabs- Differences with other Races; Emphasis on Clinicopathological and Serological Perspectives. Saudi J Kidney Dis Transpl 2000; 11(3): 370-80. 26. Flower C, Hennis A, Hambleton IR, Nicholson G. Lupus nephritis in an Afro-Caribbean population: renal indices and clinical outcomes. Lupus 2006; 15(10): 689-94. doi: 10.1177/0961203306072415. 27. Neumann K, Wallace DJ, Azen C, Nessim S, Fichman M, Metzger AL, et al. Lupus in the 1980s: III. Influence of clinical variables, biopsy, and treatment on the outcome in 150 patients with lupus nephritis seen at a single center. Seminars in Arthritis and Rheumatism 1995; 25(1): 47-55. doi: 10.1016/s0049-0172(95) 80017-4. 28. Al Attia HM, Al Ahmed YH, Chandani AU. Serological markers in Arabs with lupus nephritis. Lupus 1998; 7(3): 198-201. doi: 10.1191/096120398678920000. 29. Al-Jarallah K, Al-Awadi A, Siddiqui H, Al-Salim I, Shehab D, Umamaheswaran I, et al. Systemic lupus erythematosus in Kuwait-hospital based study. Lupus 1998; 7(7): 434-8. doi: 10.1191/ 096120398678920389. 30. Anaya JM, Canas C, Mantilla RD, Pineda-Tamayo R, Tobon GJ, Herrera-Diaz C, et al. Lupus nephritis in Colombians: contrasts and comparisons with other populations. Clin Rev Allergy Immunol 2011; 40(3): 199-207. doi: 10.1007/s12016-010-8249-4. 31. Thumboo J, Fong KY, Chia HP, Chng HH, Koh ET, Leong KH, et al. Clinical predictors of nephritis in systemic lupus erythematosus. Ann Acad Med Singapore 1998; 27(1): 16-20. 32. Naiker IP, Chrystal V, Randeree IG, Seedat YK. The significance of arterial hypertension at the onset of clinical lupus nephritis. Postgrad Med J 1997; 73(858): 230-3. doi: 10.1136/pgmj.73.858.230. 33. Font J, Ramos-Casals M, Cervera R, Garcia-Carrasco M, Torras A, Siso A, et al. Cardiovascular risk factors and the long-term outcome of lupus nephritis. QJM 2001; 94(1): 19-26. doi: 10.1093/qjmed/ 94.1.19. 34. Pistiner M, Wallace DJ, Nessim S, Metzger AL, Klinenberg JR. Lupus erythematosus in the 1980s: a survey of 570 patients. Semin Arthritis Rheum 1991; 21(1): 55-64. doi: 10.1016/0049-0172(91) 90057-7. 35. Skare TL, Schonrock AC. Clinical profile of patients with lupus nephritis. Reumatismo 2009; 61(4): 316-7. 36. Walker RJ, Bailey RR, Swainson CP, Lynn KL. Lupus nephritis: a 13-year experience. N Z Med J 1986; 99(814): 894-6. 37. Watson R. Cutaneous lesions in systemic lupus erythematosus. Med Clin North Am 1989; 73(5): 1091-111. doi: 10.1016/s0025-7125(16)30621-6. 38. Al Arfaj AS, Khalil N, Al Saleh S. Lupus nephritis among 624 cases of systemic lupus erythematosus in Riyadh, Saudi Arabia. 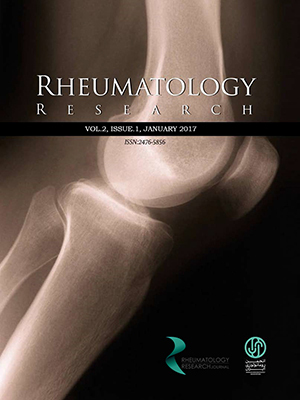 Rheumatology International 2009; 29(9): 1057-67. doi: 10.1007/s00296-009-0905-8. 39. Anaya JM, Uribe M, Perez A, Sanchez JF, Pinto LF, Molina JF, et al. Clinical and immunological factors associated with lupus nephritis in patients from northwestern Colombia. Biomedica 2003; 23(3): 293-300. doi: 10.7705/biomedica.v23i3. 1223. 40. Duzgun N, Hoier-Madsen M, Wiik A, Tokgoz G. The frequency of autoantibodies in Turkish patients with lupus nephritis. Rheumatol Int 1997; 17(1): 1-4. doi: 10.1007/pl00006844. 41. Garcia CO, Molina JF, Gutierrez-Urena S, Scopelitis E, Wilson WA, Gharavi AE, et al. Autoantibody profile in African-American patients with lupus nephritis. Lupus 1996; 5(6): 602-5. doi: 10.1177/0961203396005608. 42. Kramers C, Termaat RM, ter Borg EJ, van Bruggen MC, Kallenberg CG, Berden JH. Higher anti-heparan sulphate reactivity during systemic lupus erythematosus (SLE) disease exacerbations with renal manifestations; a long term prospective analysis. Clin Exp Immunol 1993; 93(1): 34-8. 43. Ravirajan CT, Rowse L, MacGowan JR, Isenberg DA. An analysis of clinical disease activity and nephritis-associated serum autoantibody profiles in patients with systemic lupus erythematosus: a cross-sectional study. Rheumatology (Oxford) 2001; 40(12): 1405-12. doi: 10.1093/rheumatology/40.12.1405.